Zero-Emission Buses are coming to a bus stop near you sooner than you think. Globally, China and the U.S. are the two largest emitters of greenhouse gas effecting our undeniable climate change. In 2014, both countries launched zero emission bus programs in a joint effort to reduce air pollution emissions. The U.S. govenment's LoNo Program and China's multiple zero emission vehicle programs provide funding assistance to advance sustainable transit technologies with an emphasis on urban transportation systems. Coordinating efforts by both nations to address the cost challenge and approach to change in this sector has been largely beneficial. The cost of a fuel cell transit bus has always loomed as one of the biggest obstacles. A typical diesel bus costs about $450,000 and in the recent past, a fuel cell electric bus model was nearly twice that amount. With the advancements in hydrogen and fuel cell technology, the costs of fuel cell-powered buses have come down significantly over the past few years - though the initial investment is still considered substantial for cash-strapped transit agencies, especially at a time of low fuel prices. The benefits of fuel cell buses comes with long-term price stability, in comparison to the unpredictable fluctuations of fossil fuels. Over a bus's typical 12-year life span, zero emission vehicles will cost less to operate. Comparing another green transit technology, pure electric battery powered buses have made inroads in development but fuel cell electric buses offer longer driving ranges. The deployment of fuel cell buses provide overall environmental and health benefits from reduced toxic air polluants. Of course, any potential savings—whether financial or environmental—depend on the local price and source of hydrogen that powers fuel cell electric buses. Some skeptics think zero-emission vehicles do little to reduce greenhouse gas emissions if their “juice” comes from coal-fired power plants. Major R&D efforts are producing innovative new ways of obtaining hydrogen are being worked on to provide a source of next-generation green and clean fuel to completely address this concern, as demonstrated in this video. 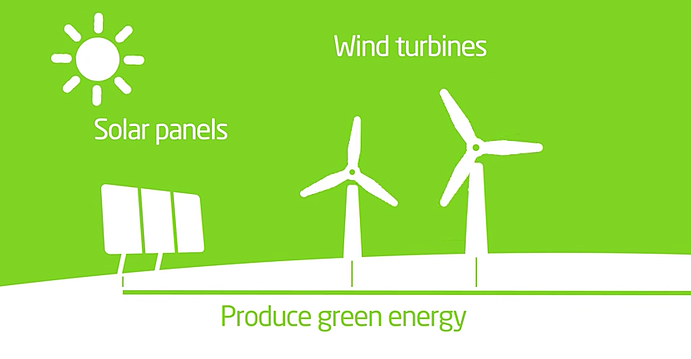 The U.S. government continues to invest in clean energy research and development (R&D). A recent collaboration between the U.S. and China called the Race to Zero Emissions Challenge (R2ZE) was created to set the momentum for cities and transit operators to share best practices and insights for deploying zero emission buses. Companies in China are now collaborating in the global zero emission bus industry. The R2ZE has been significant in providing the platform needed for these win-win partnerships. The movement towards zero emission buses is certainly growing. The benefits of this technology need to be examined beyond the context of initial purchase price and operating costs. Certainly, public transit agencies use this metric as their measuring stick, but when we attribute lower pollution rates (airborne particulate matter) to increased wellness and productivity the investment seems a moot point. We need policy-makers and visionaries to continue considering the well-being of their communities as an equally important measure of an investment in transit infrastructure. 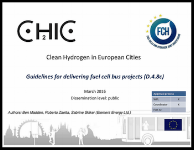 A recent project by the Clean Hydrogen in European Cities (CHIC) group examines the current and upcoming EU emissions regulations and the process in which to successfully implement fuel cell bus projects in urban European Cities. 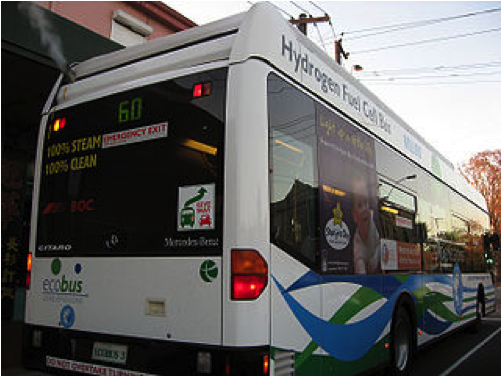 To access a copy of the fuel cell bus project guidelines, please click the 'download' link below.